ROBERT G. JOHNSON, 73, of Cape May Court House, NJ, died suddenly on March 13, 2019. Born in Woodbury, NJ on April 25, 1945, Bob grew up in North Wildwood, NJ and graduated from Wildwood High School in 1963. Upon graduation, Bob enlisted in the United States Air Force serving our country from 1965-1968. Bob was deployed for 13 months of his service in Vietnam. Upon returning from his military service, Bob started his own Construction business and operated the business for 40 years. Additionally, Bob, over a span of 25 years, worked as a Bartender at Moore's Inlet and made many friends over the years at Moore's. 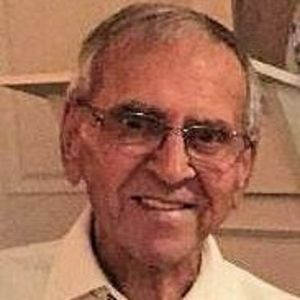 Bob was an avid golfer and longtime member of the Wildwood Golf Club, becoming President of the Wildwood Golf Club from 2010-2012. Bob was also an expert snow skier, owning his beloved slope side ski chalet (Snowdin) at Pico Mt., Vermont. Bob was able to impart his love of snow skiing to all of his family including his great nephews and nieces (Katie, Emily, Chris, Connor, Zach, Veronica, Allie, Charlie, Kehler, Cody and Gabby). Bob was a founding member of the Clam Diggers Ski Club and a member of the Wildwood Elks. Bob was known by all who knew him to be a caring, loyal and generous man who always had time to help anyone who needed him. He will be truly missed by his loving wife of 49 years Brenda Johnson and his many friends and family. Bob is predeceased by his parents Charles and Agnes Johnson (Klaiss). Bob is survived by his wife Brenda Johnson (Kehler), his brother Charles Johnson (Marybeth), nephews, Robert Johnson (Theresa), Gregory (Michelle), Chuck (Lauren), niece Hillary Colon (Shawn), and sister-in-law Kathy Burns (Frank). Funeral Services for Bob will be held on Saturday, March 16, 2019 at 3:00 p.m. at the Radzieta Funeral Home, 9 Hand Avenue, Cape May Court House, NJ, where viewing will begin at 2:00 p.m. Interment will be in the Cape May County Veterans Cemetery. Memorial donations may be made to the St. Jude Children's Research Hospital, 501 St. Jude Place, Memphis, TN 38105. Dear Brenda, I just heard the news of Bob's sudden passing, from Jeff and Ginny P. I am so sorry for your loss. So many good times were shared in Cape May and Galloway. May you be comforted by them and may the good Lord Bless and Keep you. Please accept our deepest and heartfelt condolences for your loss. Our heart and prayers go out to Brenda and the family , he will be missed. You were a true friend & gentleman. You were Wildwood Golf & CC & you will be missed Bobby this Bud is for you.. It is with great sadness to read about Bob's passing. As a former member and board member of WWGC, Bob's leadership and caring were not only a great asset to the club but the many members he served. We were a fun club and Bobby made it feel like family. I too had heart issues and after my aortic valve and bypass surgery, Bobby surprised me with s visit to my room to wish me well and share a few WWGC stories. It meant so much to me and certainly helped in my recovery. I will never forget. He was a very caring person and i'm please to call him a friend. WWGC has changed it's name but the memories of the club, staff, Bobby and the members will last forever. As a former U.S. Air Force member and veteran, I salute you. God bless you and your family. We are currently out of town but wish to express our sincere sympathy to Brenda and family. We enjoyed our times spent together in SC and he will be surely missed by all. For the times that I got to spend with Bob he was always a true gentleman and genuine person. He will be sadly missed by many. Rest In Peace Bob. Bob was my first playmate. From the time I was 5, I would trek over to the Johnson home in N.Wildwood. We played army games and argued over who would be the machine gunner and hide behind the big tree on the corner. Bob and his brother Charlie were big hearted and made lots of friends. When it snowed everybody came to their street and built a ramp for sledding. I have a zillion memories and pray that Brenda has a life of great memories. May you rest in the palm of His hand.